Wow! People are reading my Posterous from all over the world! 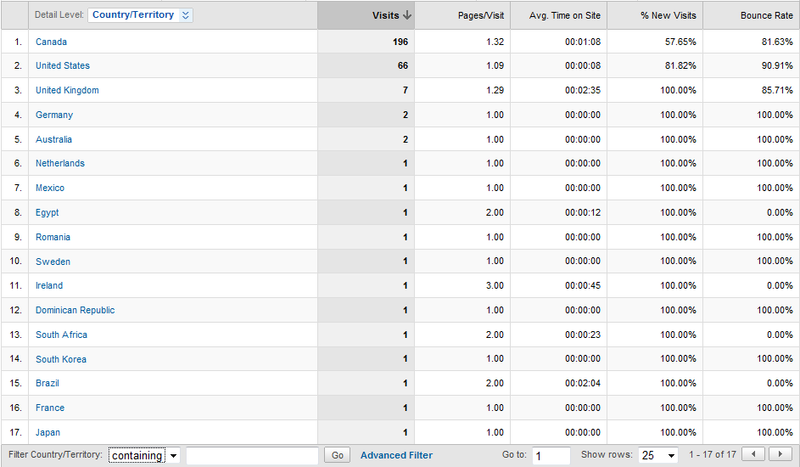 (Don’t worry, this doesn’t show me IP information or anything – just very general stats on my reader base.) I’d love to know what people from all over the world think of the stuff I’m posting on this account. You don’t even need to sign up for Posterous in order to comment (though Posterous IS pretty awesome) – you can log in using your Facebook or Twitter profile to make it easier for yourself. Looking forward to networking with tons of people worldwide this year!